This weekend, Josh Lavik & Associates will have a booth at the Build, Remodel & Landscape Show at the Monona Terrace Convention Center. The show will last three days and will give all in attendance the opportunity to connect with experts in many different areas. Whether you're looking to buy or sell a home or you're interested in home improvement advice, this is the event for you. A number of seminars will be held covering many different topics from geothermal heading for your home to outdoor living space. Get expert advice on the project of your choice by attending one of the many show seminars. As the only convention center designed by Frank Lloyd Wright, the venue for the Madison Build, Remodel & Landscape Show is something special. Enjoy this legendary building with incredible design features found all throughout. Throughout the show, many beautiful landscapes will be on display from companies throughout Madison. Enjoy the displays from Olson Toon Landscaping, The Bruce Company, Moyer's Landscaping and more! There will be plenty of great things to enjoy all throughout the show this year. Along with the many seminars and landscapes, a number of home improvement and remodeling companies will be on hand to answer questions and provide information about the services they offer. You can also come out and visit the Josh Lavik & Associated booth for information about buying or selling a home. Admission to the Madison Build, Remodel & Landscape Show is $5. However, if you go online here and print out your ticket ahead of time, the show is free. The event will be held on Friday, February 16th from 2pm to 7pm, on Saturday, February 17th from 10am to 7pm and on Sunday, February 18th from 10am to 5pm. 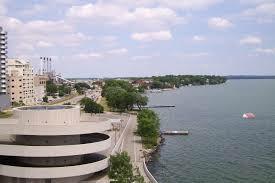 It will be held at the Monona Terrace Convention Center, which is located at One John Nolen Drive in Madison. For more information on this year's Madison Build, Remodel & Landscape Show visit the official website here.